When I first visit in Floating Market Lembang, I remembered when my first geological mapping. Lake can as proof of existence of a Fault. When passing the entrance, you can see clearly Observatorium Bosscha on the hill. Lembang Fault scrap near Bosscha clearly visible. Lake of this Floating Market is evidence of existence of Lembang Fault. The name of this lake is Umar lake. Lembang Fault is Normal Fault, with West East trending, extends ±29Km, from Cisarua – Lembang – Maribaya until Cibodas. Hangingwall block in the North, Footwall block in the South. As I’ve told in The Lodge Maribaya, clear Fault feared geotechnical but loved geotourism. In Floating Market, you can spend time with family for a while. To enjoy cool air of Lembang, the beauty of landscape around the lake and culinary tourism as much. Culinary dominated by the tradisional cuisine of West Java. The price not too expensive, as evidenced by seblak per portion Rp.15.000. Eating in low chair and coffee table in the middle of the lake, fun we can see clearly the fish gather to eat bread by visitors. If you cannot ride a boat is not a problem, because to get at the food market can also walk, while looking at the cage of rabbit and geese. 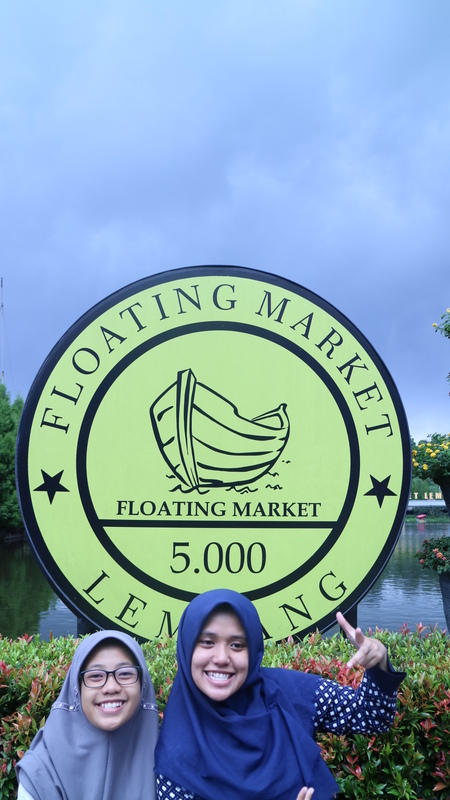 Floating Market Lembang address Grand Hotel Road no 33E, Lembang, Bandung, West Java, Indonesia. The right place to travel with family or friends, welcome breath of fresh air in Lembang.